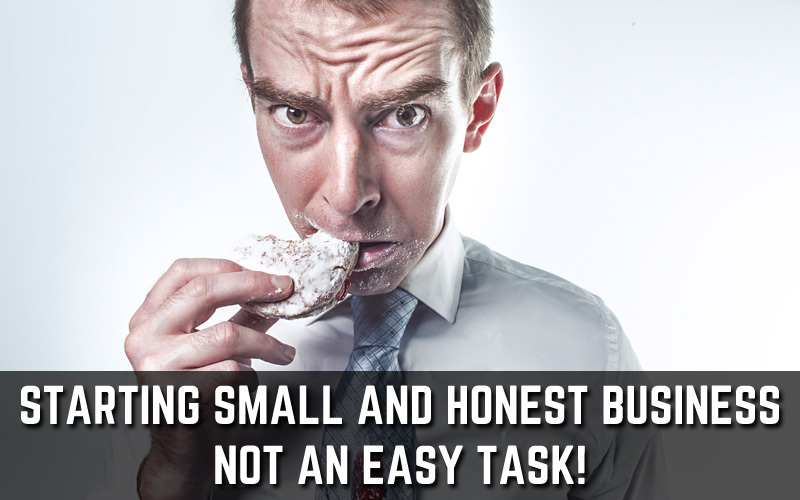 Starting a Small and Honest Business – Not an Easy Task! If you’ve just started your business or are fairly new to the entrepreneurial world, then building your brand can be time consuming and, at times, breath-taking. You look around and find that there are many others like you – people dreaming of successful business. And your sixth sense says that most will fail. But the question is – Why? The idea of starting up on your own, in itself, at first is quite exciting. But before you start, investing time into proper planning is the key to turning it into a SUCCESS. Operating a small business is not a joke! It is not only about working for yourself or working from home, it’s also about having the necessary management skills, industrial expertise, technical know-hows, financial knowledge, marketing skills and of course a long-term vision to grow and finally succeed. Among all these skills, there is one essential thing that is missing. Can you guess what? Isn’t it obvious? A business simply needs clients to work with. One of the easy, possible and powerful ways when you are new to any business is, I would say – Your Online Presence! As long as you have the passion and willingness to work honestly to make your business grow, an online presence of your business is the ideal choice. Even if you don’t want to sell products or services online, the first thing to do is ensure that you have a steady client base. Know about your market potentiality. Make your presence visible all over the world in the least time consuming manner. Develop more products and services that meet the needs of the clients. Generate response for your product / service with the help of valuable feedbacks of clients. Save your financial expenses by meeting all the needs of clients online which is the cheapest source of building a successful business in this era. Building your online presence can be tedious and time consuming because it’s not just something that happens overnight; it can be breath-taking but don’t underestimate its importance – Your online presence is what allows people to find you, interact with you, and get to know, like and majorly to Trust You. Then why not make an effective online presence? Threesite has provided millions of opportunities to budding businesses and entrepreneurs. In fact many businesses continue to earn a good amount of ROI even during hours when their owners are asleep or when they are busy having their morning sip of coffee, holidaying in their dream destinations or focusing on other areas of work. Build a business – go online and get some clients. Start Small, Stay Honest. after all Honesty surely is the Best Policy!